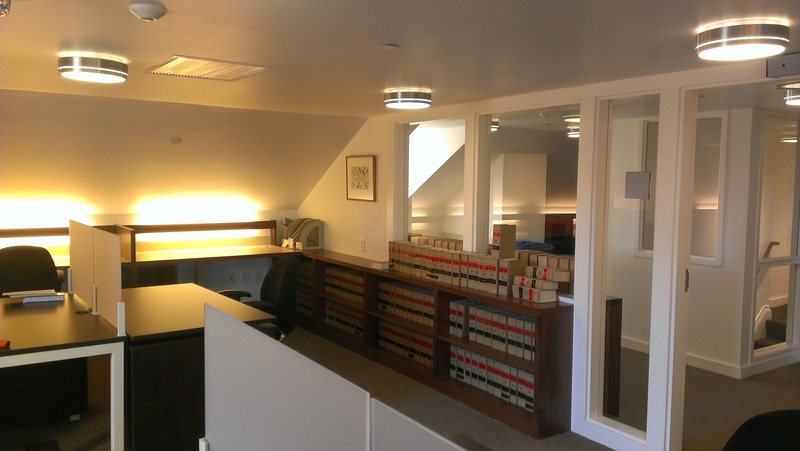 The renovation of the Gannett House at Harvard University’s Law School is designed to completely retrofit the interior of the building in order to improve occupant comfort and provide a healthy indoor environment. The new interior will include new single-zone fan coil units and new automatic control points to allow for controllability of the lighting systems. The system’s controls will be interfaced with a new building automation system (BAS). Designed by Samuel William Pomeroy in 1838, Gannett House is the one of the oldest buildings on campus. Since 1925, Gannett House has been home to the Harvard Law Review, the prestigious student-run journal of legal scholarship. In the offices and many of the shared spaces, both lighting and the HVAC systems are connected to dual-connect occupancy sensors that will shut down lighting and setback temperature set-points when occupancy is not detected. For the HVAC system, this is programmed through the building’s BAS.